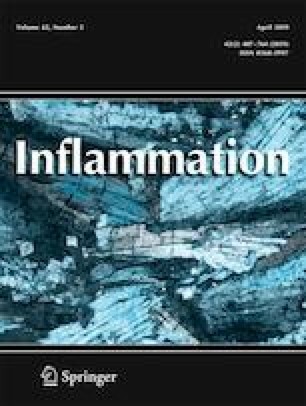 Pro-inflammatory S100A9 Protein: a Double-Edged Sword in Cancer? Farokhzadian, J., P.M. Shahrbabaki, and V. Bagheri. 2017. S100A12-CD36 axis: A novel player in the pathogenesis of atherosclerosis? Cytokine. https://doi.org/10.1016/j.cyto.2017.07.010. Bennett, D., M. Salvini, A. Fui, G. Cillis, P. Cameli, M.A. Mazzei, A. Fossi, R.M. Refini, and P. Rottoli. 2019. Calgranulin B and KL-6 in bronchoalveolar lavage of patients with IPF and NSIP. Inflammation. https://doi.org/10.1007/s10753-018-00955-2.